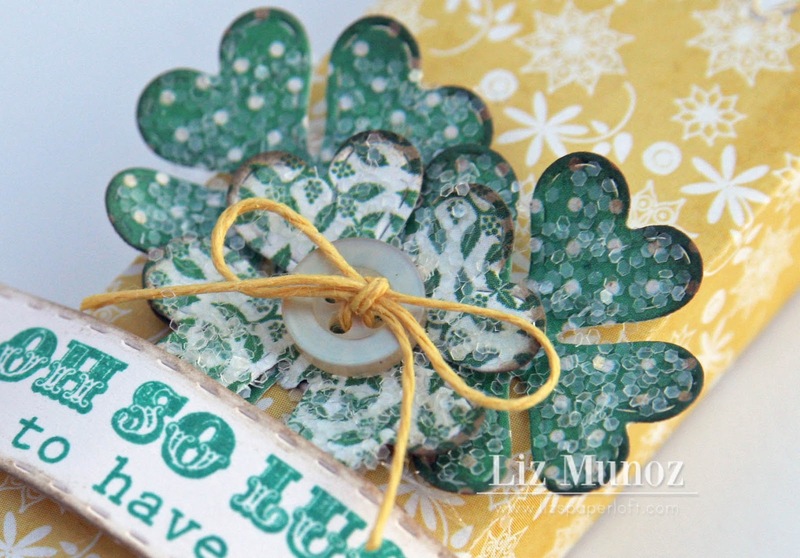 Liz's Paper Loft: My Creative Time's 3-D Wednesday ~ So Lucky! Today I have another quick project to share with you! We were asked to make a container of some sort. Of course I couldn't resist using Emma's newest die, the Treat Slider Box! Of course I also can't resist glitter, so the shamrocks are inked and glittered! 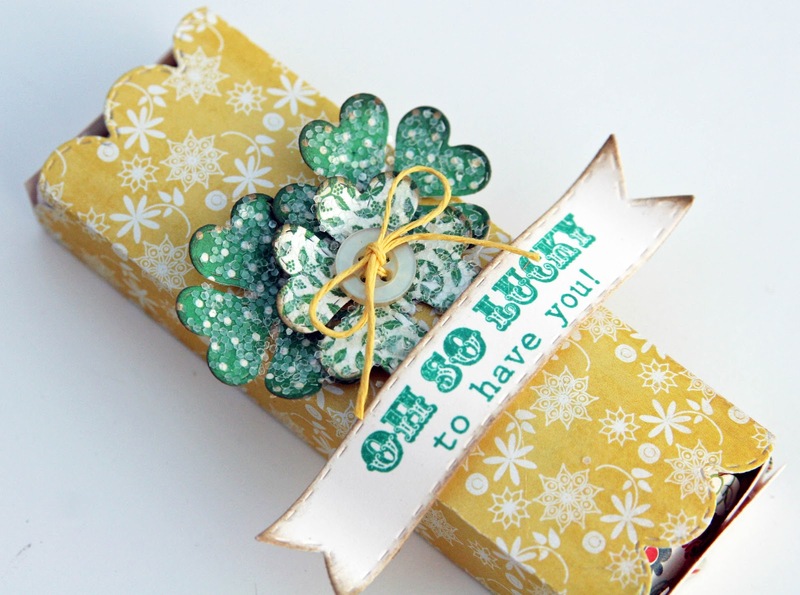 The Treat Slider die is so easy to use, it really is a must have for any holiday treats or favors! Adorable! Love the glitter on the shamrocks! This is adorable, Liz! I love the flower buttons on the Nuggets - the perfect touch! Super cute, Liz! This little box is going to be so nice to have...whip out several in no time! Great job, very pretty! I LOVE this Liz!!! You always have the BEST papers!!! This is so nice looking. Love St. Patty day treats. I agree that the treat box die is perfect for many occasions! It is on the way to me as of now. Your treat box is so cute and the little flower buttons inside are cuteness overload <3 Love it! Glad you had a good time in San Diego and thank you for sharing! Glad you got to spend some time with your daughter :)...take care and have a wonderful day! Your treat holder is awesome! I love the glittery shamrocks! Super fun! Liz ~ your treat box is GORGEOUS! 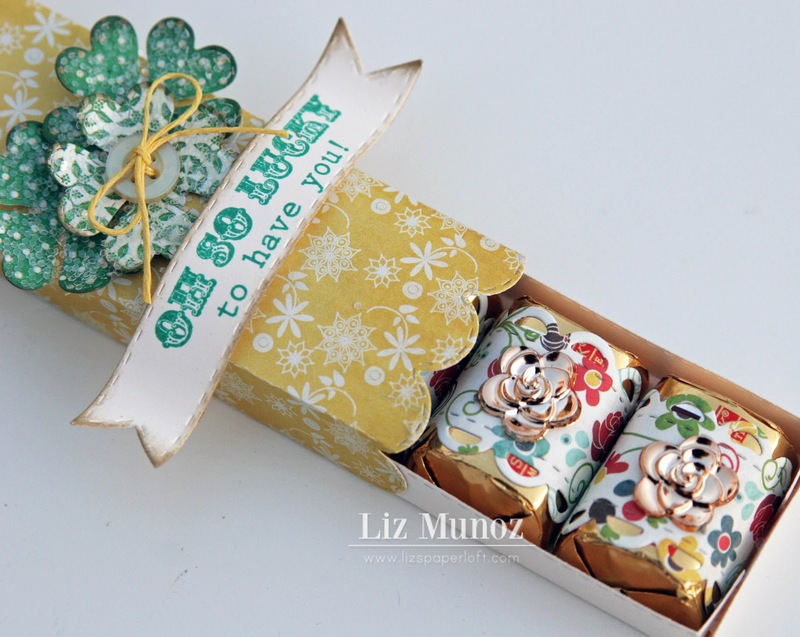 The colors, that glitter (my FAVORITE), the paper of course and those GORGEOUS little metal flowers on the candy! So CLEVER! I was trying to figure out what they were ~ I LOVE that idea!! FABULOUS little project!